A comprehensive introduction to cruising for inexperienced skippers. This course equips you with enough knowledge to navigate around familiar waters by day. A basic knowledge of lights is also included to introduce you to night cruising. 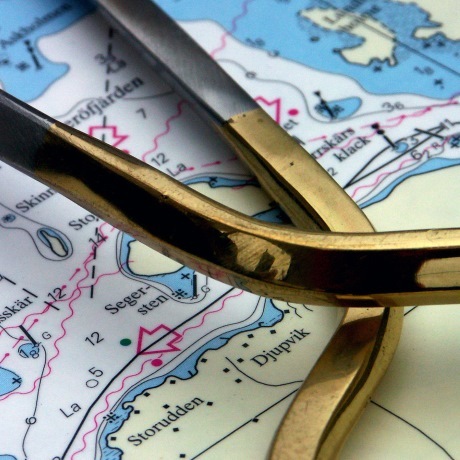 In the Day Skipper theory course students are taught the basics of coastal and inshore navigation and pilotage including chartwork, position fixing, plotting a course to steer, weather forecasting, a knowledge of tides and the International Regulations for Prevention of Collision at Sea. As well as navigation the RYA Day Skipper theory course will give students an understanding of different yacht types and the equipment they carry as well as safety procedures such as distress calls, use of flares, safety harnesses, life jackets and liferafts.